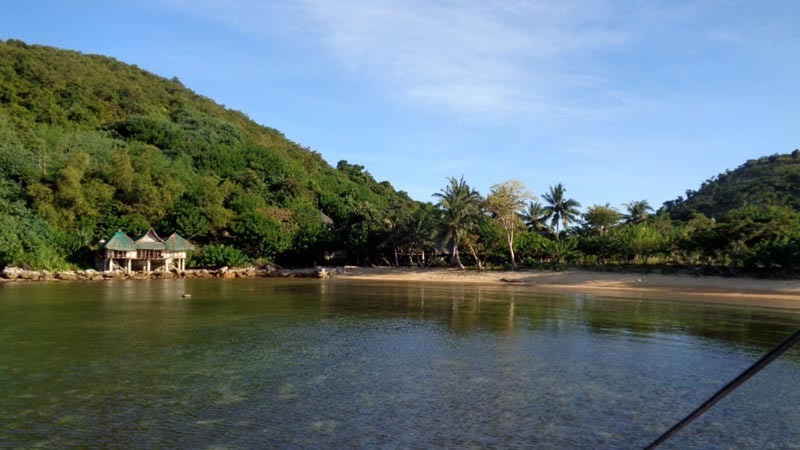 Dugong used to be part of Busuanga's seascape. With poaching in the area and rope-entangling, it has become increasingly rare. It's easier to spot a whale shark than it is to see Dugong in the wild. Here in Busuanga Island, the rare spotting of a Dugong is in the Northeast area - you'll never see one in Coron Town area. Fishermen claim Dugong sightings in predictable spots. The most docile is said to be in the Calauit area. Club Paradise had a resident Dugong but it died after getting itself tangled up in nylon ropes.Lately, a dead Dugong washed-up to the shore of Minit. 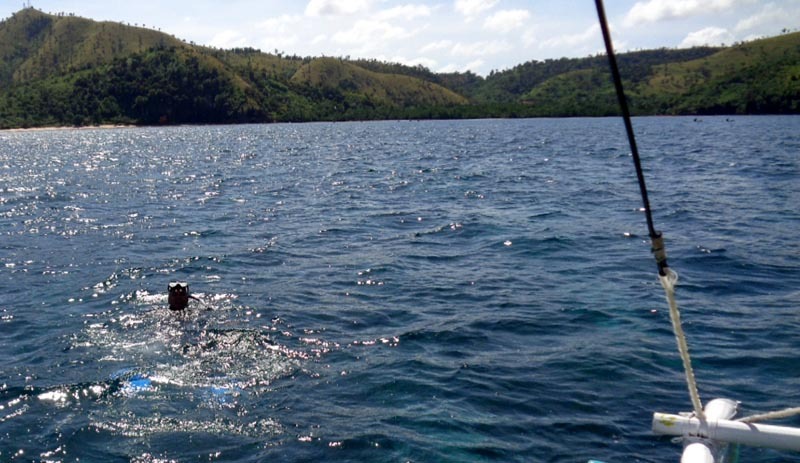 Another one was found dead after Typhoon Yolanda when it got tangled-up with stray fishermen's net. It's bad enough they were being fished. Now, they also have to put up getting tangled into stray nets and ropes! Notwithstanding, there are a few tour operators offering Dugong tours - of course, without guarantees. When a group of 4 Germans booked a Dugong tour with Tribal Adventures at Palawan SandCastles, I tagged along hoping luck is on our side. 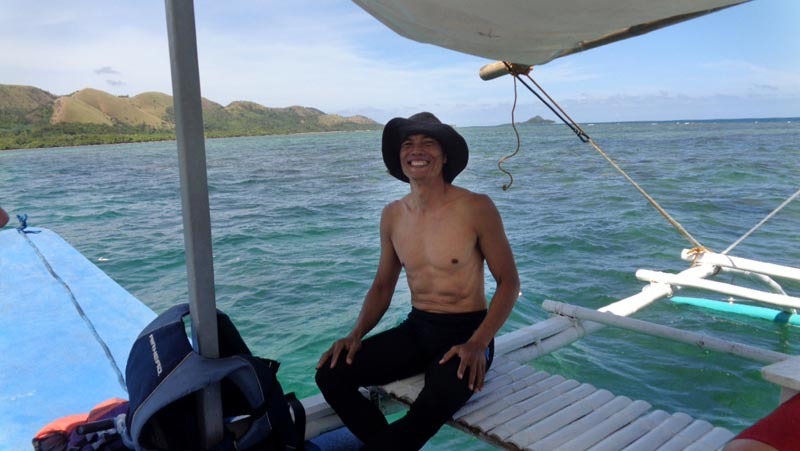 The tour guide was Bobby, a seasoned hand who knows the usual feeding grounds of the Dugongs. Dugongs eat seagrass. It's more likely to see them in the shallows feeding than it is to see them in the deep. Occassionally, a Dugong back may surface before it disappears again. This is what local fishermen usually see when they ply their fishing route. Bobby was vigilant on the boat looking for Dugong on the 3 spots he knew. Unfortunately, there was none to be found. On one area, the visibility was too bad it wouldn't be possible to see one even there was one within 15 feet. On a few boats we passed by, he asked if there was a sighting, but again, the fishermen shook their heads. It was frustrating for everyone. 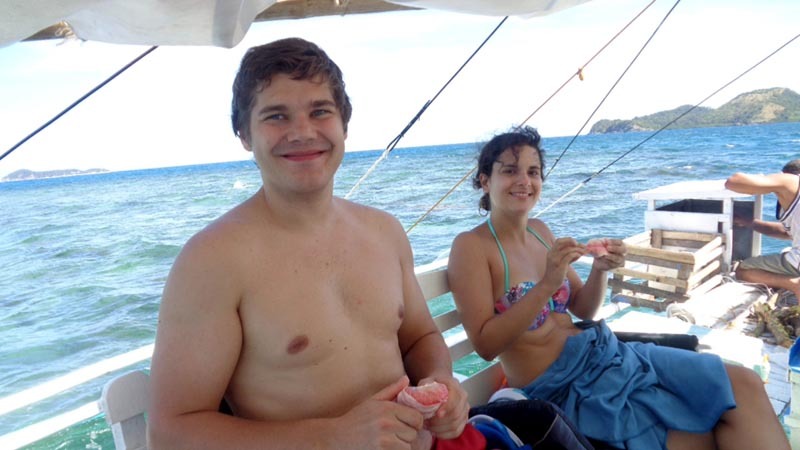 Fortunately, we passed on a few promising coral reef where we stopped for some snorkeling. That became pretty much the default activity in the absence of Dugong sighting. It wasn't bad either. I saw a few big clams but no sizeable reef fish. Everybody was a little frustrated not seeing a Dugong, but more so with Bobby. I could sense the pressure he was on with all of us being hopeful. At the end, he confided that he would rather take tourists on a snorkeling or island hopping tour with a sight of a Dugong as an added gravy. With increased tourism, fishing for Dugong is banned now. 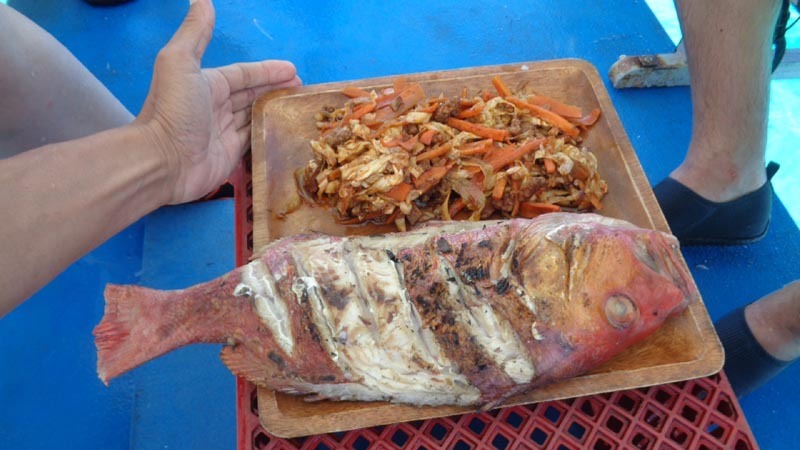 The fishermen at this point realize that a live Dugong in the wild can fetch more tourism income to the community than one served on a dinner plate. I hope the Dugong population recovers and even thrives in the coming years. On a personal note, despite my efforts to see a Dugong in the ensuing years, I still yet have to find one. The search continues.